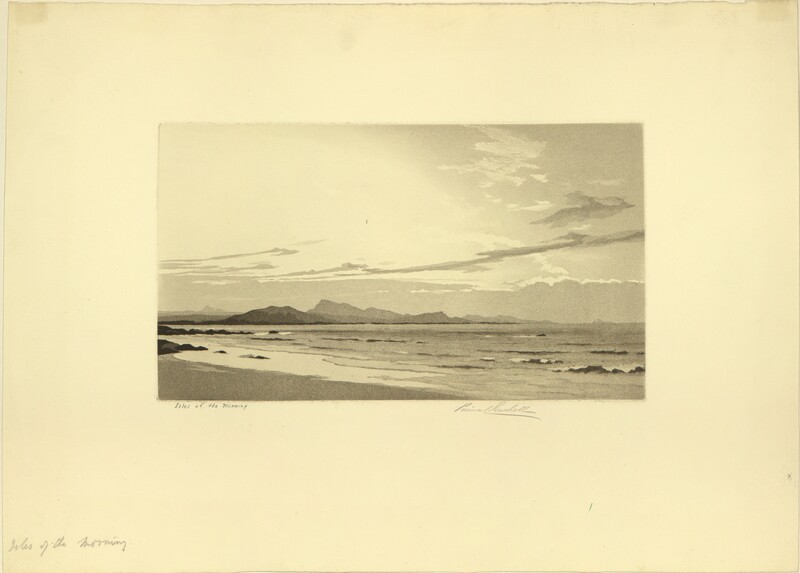 A lithograph showing ocean shore with mountains in the distance. 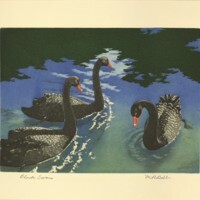 It is titled "Isles of the Morning" and is signed by author below image. 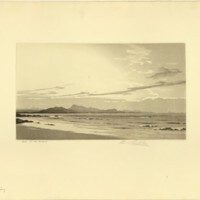 Gaskell, George Percival, “Isles of the Morning,” Digital Exhibits, accessed April 22, 2019, https://cuexhibits.wrlc.org/items/show/185.